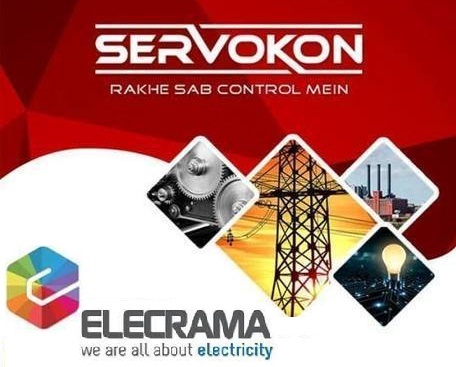 Servokon Systems Limited, India's leading manufacturer of power conditioning products will be participating in Coolex 2018, an Exclusive Exhibition on Air Conditioning, Refrigeration & Ventilation to be held from 13th April 2018 to 16th April 2018, at Himachal Bhawan, Sector 28, Chandigarh. The exhibition Coolex is being organized by the Confederation of Indian Industry (CII) with an aim to provide a platform to showcase the best of latest technologies and products to customers and clients. Further, the expo is also intended to be a platform to facilitate dealer interest and dealership queries. A prominent name in the inverter/stabilizer industry across India, Servokon will showcase its broad range of power solutions at the four day expo. Thousands of stakeholders in the cooling and refrigeration segment are expected to visit the 4 day industry extravaganza. Some of the other brands participating in the expo include leading names such as LG, Blue Star, Daikin, Carrier, Godrej, Haier, and Hitachi, among others. The list of products that will be on display include Air Conditioners, Chilling Units Systems, Components, Coolers, Cooling Towers, Compressors, Deep Freezers, Electrical Panels, Fans, Humidification Systems, Industrial Ventilation, Packaged Unit Air Conditioners, Power Generators, Refrigerators, Voltage Stabilizers, Water Coolers, Water Treatment Plants, and Industrial Refrigeration Equipment, apart from the launch of new products by many players in the industry. Servokon Systems Limited's Managing Director, Mr. Kamruddin said such exhibitions are an important platform for the company to reach out to its corporate and individual clients and showcase its latest offerings. He further added that events like Coolex also help the company in strengthening its relationships with its dealer network. Coolex is an exhibition of India's best companies in the cooling, refrigeration and ventilation segment. Past editions of the event have been held in 2009, 2016, and 2017. This year, the fourth edition promises to be even bigger and better in terms of products and solutions to be showcased and the buzz that the event has been generating.